Reston residents will have a chance to get outside and shake off that turkey coma this weekend. Reston Association’s Walker Nature Center (11450 Glade Drive) is scheduled to host a “Turkey Trail” scavenger hunt this Saturday, Nov. 26, at 11 a.m.
During the event, attendees can breathe in the crisp fall air, marvel at the trees’ changing colors and search for clues along the trails near the nature center. Organizers say a “wild turkey” has gone on the loose and left behind clues that families will need to decode in order to follow the “turkey trail.” As they do so, families will learn some fascinating facts about the beautiful Thanksgiving birds. Registration by tomorrow is encouraged. The cost is $5 for RA members or $7 for non-members. 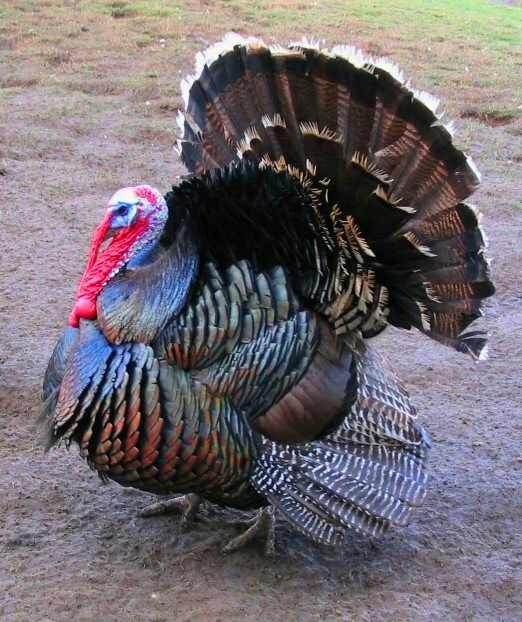 Photo: An American turkey, credit to “Lupin” on Creative Commons.